A video describing about the new search engine is posted in youtube and also in the promotional website volunia.com. 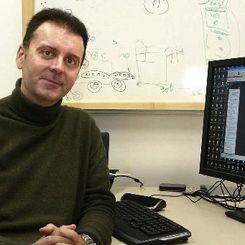 Marchiori, an Associate Proffessor at Padua University says that his search engine is entirely different and will be an example what a future search engine would be. The website allows users to sign up for a chance to become "power users". They will test the beta version of the search engine. In the beginning it will be launched in 12 languages.The basic idea behind his new search engine is simple and different from the current approach of major search engines. Headquarters of this new project is situated at Padua, in North East Italy. Mariano Pireddu, a Sardinian entrepreneur with 20 years of experience in IT and Telecommunication sectors provides the funding for this project. 'Its not our dream to create a better search engine than Google, but to create an engine that is different from Google. ' Pireddu, says in a telephonic interview. 0 Response to "Challenge to Google Search Algorithm"